Don’t wait. Learn how to engage the child locks on your car doors now. By the time your child is two years old, he or she will be very busy indeed. They’ll want to get their little hands on everything to see what it feels like and how it works. Buttons, switches, door handles – these are all irresistible to a toddler. A child’s natural curiosity leads him to wonder how objects react when touched. But as you know, that curiosity can backfire if a child touches something he’s not supposed to like a hot stove or a car door handle. While you should always have your child buckled in a safety seat, some kids can be escape artists. 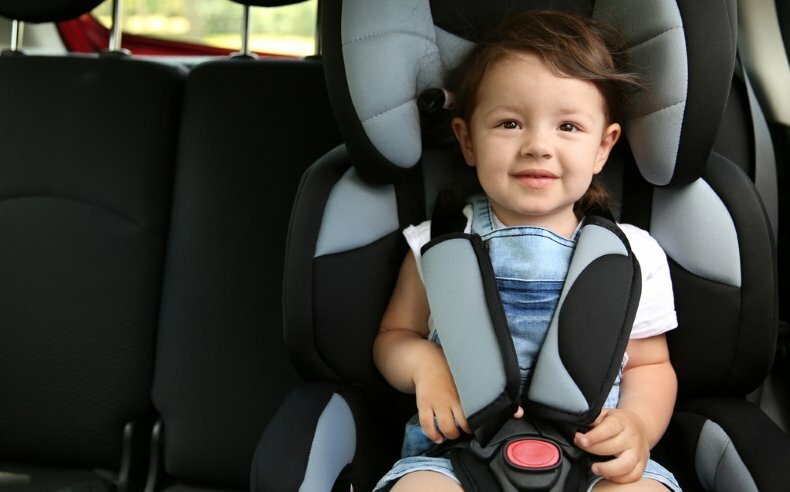 In just a few seconds, they could easily be out of their car seat and have the door open while you’re going down the road. Or maybe you have an older elementary school child who is always in a hurry and wants to open the door and jump out before the car comes to a complete stop. Scary? Yes. But thankfully, there’s an easy fix to that right on your car door. To find yours, the first place to look is your car owner’s manual. It will tell you exactly where to find the locks and how to engage them. Many vehicles have the lever or key in slot child locks. To find those, open your rear doors. On the inside part that you can’t see when the door is closed, you’ll find the locks. There’s usually a sticker or icon that looks like a child and an arrow to indicate how to engage it. For the lever locks, you just flip it up or down depending on the car. For the key in slot ones, it will be a recessed button with a small notch in it. You can use either a car key, a flat screwdriver or a coin to turn it. In some newer cars, there will be a dashboard button or electronic control to engage the locks. Again, consult your owner’s manual to ensure you’re engaging them correctly. Ideally, you want to do this well before your child is able to reach the car door handle. Don’t forget to engage the locks on both rear doors. While you’re at it, and if your car has this ability, engage your window locks as well. Kids love throwing things. The last thing you want to see is a sippy cup or shoe bouncing down the road behind you because your little guy has opened the window. Child car door and window locks are also a good idea when you’re traveling with pets, special needs kids and adults, or seniors with dementia.